Howard graduated in Economics and after a short spell in UK merchant banking, joined Deloitte Haskins & Sells where he qualified as a Chartered Accountant. He transferred to the corporate tax department where he further qualified with the Chartered Institute of Taxation. 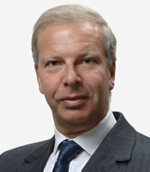 In early 1986, Howard established Deloitte’s Mergers and Acquisitions Group and developed an expertise in company sales. In May 1988 he left to set up Cavendish Corporate Finance. Howard is a frequent lecturer, author and broadcaster on mergers and acquisitions. Howard was until recently the Chairman of the Faculty of Corporate Finance of the Institute of Chartered Accountants, which represents some 5,000 corporate financiers. In 2008, he was awarded the Faculty’s Outstanding Achievement in Corporate Finance award. Howard is also an alternate to the President of the Institute serving on the Takeover Panel. Howard is Vice President of M&A International Inc, the world’s leading independent and largest corporate finance network, covering some 40 firms in 30 countries. He is a Treasurer of the Conservative Party and chairs a number of charitable concerns.